Fiji; with Pufferfish; www.stephenfrinkcollection.com. 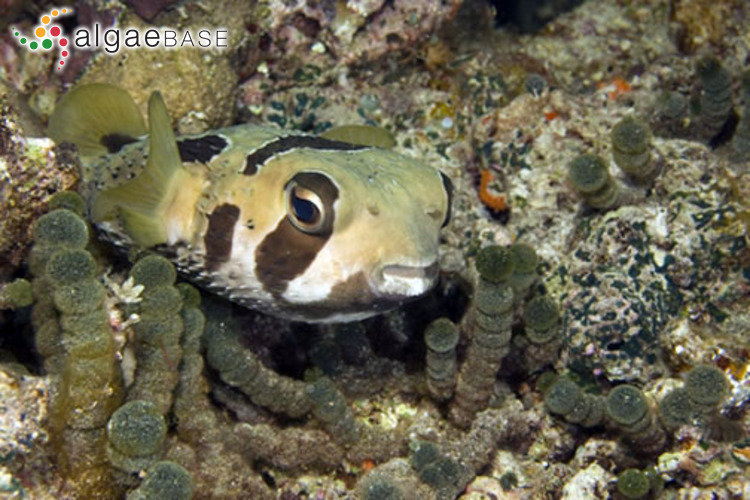 This is the non-flabellate stage, which is common in Fiji (Antoine N'Yeurt, pers.comm.). Stephen Frink. © Stephen Frink. Published in: Weber-van Bosse, A. (1901). Études sur les algues de l'Archipel Malaisien. (III). Annales du Jardin Botanique de Buitenzorg 17: 126-141, pls XVII-XIX. This is the type species (holotype) of the genus Tydemania. Noun (Latin), of the expedition; "expedition" is treated as a third-decelension noun, the genitive case of which is "expeditionis". Syntype localities: [various in Indonesia] (Weber-van Bosse 1901: 139). Lam, D.W. & Zechman, F.W. (2006). Phylogenetic analyses of the Bryopsidales (Ulvophyceae, Chlorophyta) based on RUBISCO large subunit gene sequences. Journal of Phycology 42: 669-678. Accesses: This record has been accessed by users 3758 times since it was created. Gilmartin, M. (1966). 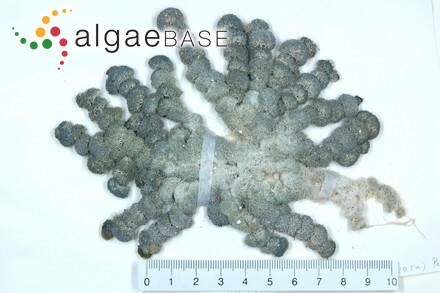 Ecology and morphology of Tydemania expeditionis, a tropical deep-water siphonous green alga. Journal of Phycology 2: 100-105. Srinivasan, K.S. (1954). On a rare and little known alga (Tydemania expeditionis Weber v. Bosse) new to Nancowry. Phytomorphology 4: 247-255, 23 figs.